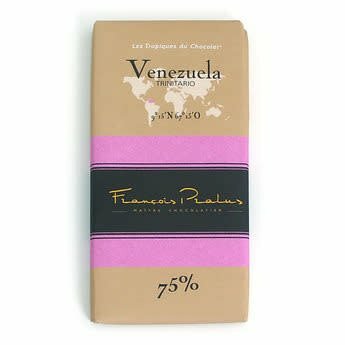 With its floral aromas, this chocolate bar made from cocoa beans from Venezuela will take you to other horizons! This chocolate is made from the renowned National Equator cocoa, also known as Arriba cocoa. It is a cocoa of such finesse that it is often compared to Criollo. However, its pods and beans are wider and more tannic and come from an agricultural cooperative in Buena Fe, Los Rios Province.